BASED on findings, the Wafi-Golpu project in Morobe will have a huge impact on Papua New Guinea, Newcrest chairman Peter Hay says. He said during a function last Thursday that based on contained metal, it is ranked within the top 10 undeveloped copper and gold deposits in the world. “Following the completion of a strategic review, we signed an agreement last month to sell our 50 per cent interest in the Hidden Valley mine to our joint venture partner, Harmony Gold Mining Limited,” Hay said. “We look forward to continuing to work with Harmony on the exciting Wafi-Golpu copper gold project in Morobe. It would be Papua New Guinea’s first major underground mine, and first major, large-scale resource project in Morobe since the Hidden Valley mine commenced operations in 2009. 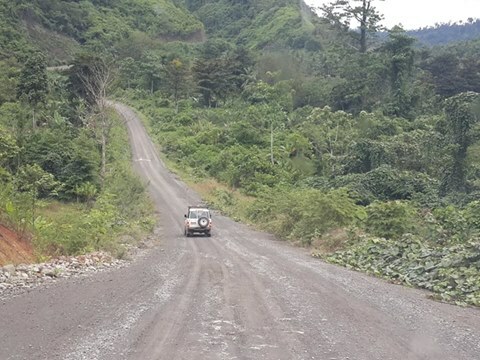 “Independent assessments indicated the project would have a significant positive impact here in PNG, with billions of dollars of direct capital investment and hundreds of millions of dollars in recurrent operating expenditure.